Peace Walker continues the story of Big Boss in the period between Operation Snake Eater (Metal Gear Solid 3) and the Outer Heaven uprising (the original Metal Gear). It takes place in 1974, a few years after the events in Portable Ops. Big Boss and his second-in-command Kazuhira Miller have just laid the foundations of the MSF (Militaires Sans Frontieres, French for Soldiers Without Borders) organisation, when they are approached by Costa Rican professor Ramon Galvez Mena and his young pupil Paz Ortega Andrade. The two request MSF’s assistance in investigating the large military force that has recently been deployed in Costa Rica – a nation without military – without any explanation whatsoever. Soon Snake (as Big Boss still insists on being called) discovers that the enemies are in possession of a nuclear warhead, and he must once again overcome the odds to prevent them from using it. Even in the era of Detente, the nuclear balance must still be maintained at all costs, as just one wrong press of a button can lead to the end of the world. As the interests of the KGB and the CIA in Latin America collide, Snake is the only one who can prevent a disaster and save humanity. Kojima has done it once again. The story fully lives up to the Metal Gear name, with the proper amount of intrigue and some twists to keep you on the edge of your seat. We come to further realise Big Boss’ motives for developing in the direction he did later in the series (chronologically). Despite the AI craze apparent throughout the game, with a few of the bosses being fully AI-controlled weapons, the spirit of the Cold War and the neverending race for power between the USSR and the US holds nicely. As the title already suggests, peace is a prevalent theme in the game… Even more so than in other Metal Gear games. History and game lore are intertwined beautifully. Numerous important subjects from the time period are part of the game or at least talked about – Che Guevara, the Nicaraguan revolutionary struggle, the Vietnam war, hippies, humanity’s first satellite launches and Yuri Gagarin’s flight… I was especially pleased to see credit given to Che Guevara, who is portrayed in a positive light, as a beacon of hope that the people of Latin America and even Big Boss look up to. I believe I need not explicitly point out the similarity between the picture above and the famous Che Guevara photograph by Alberto Korda. Peace Walker keeps the series’ tradition of having a great cast. As I already mentioned, the extra development Big Boss gets will be much appreciated by fans of the series. 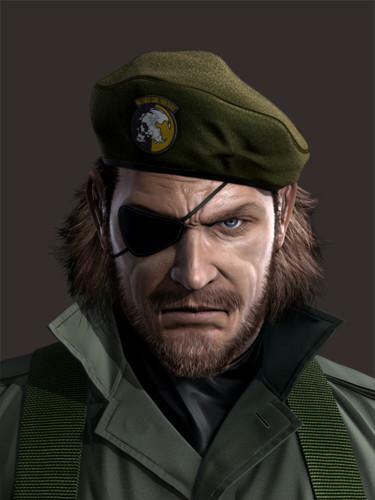 He is easily one of my absolute favourites in the series (very close battle at the top between him and Ocelot) and it’s simply awesome not just to see him in action, saving the world once again, but to also see his resolution to lead MSF and make it a factor of global importance despite the odds being stacked against him and his organisation. 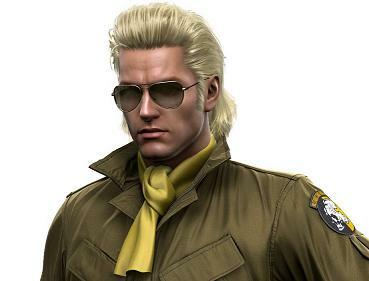 The other character that shines a lot in this game is MSF’s second-in-command, Kazuhira Miller (also known as McDonnell/Master Miller from earlier games). He is also an important driving force in the organisation, determined to help MSF grow and become a large force, capable of playing even on a global stage. Miller realises that a mercenary organisation that bows to no particular country has great future in a world where local conflicts and proxy wars are commonplace. And thus, here we learn what kind of man the mysterious figure of Miller who we knew very little of so far really is. Hal “Otacon” Emmerich’s father is another figure that will be a real treat to fans. 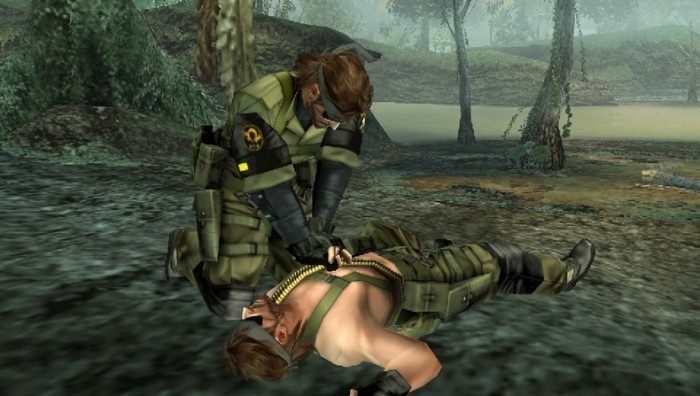 With a similar appearance and the same voice actor, Big Boss communicating with Huey Emmerich will not feel much different from the Solid Snake/Otacon conversations in other games. Despite his slightly goofy looks, Huey is a fascinating man and a brilliant mechanic, responsible for much of the machinery you’ll encounter in the game. You’ll even have the pleasure of getting to know why Hal was named that way in a bit more detail. The other characters completely new to the game also do not disappoint. Professor Galvez and Paz, the young Nicaraguan Sandinista guerillero Amanda, her brother Chico, the mysterious Dr. Strangelove, the refined French girl Cecile Caminades (actually based in both name and appearance on a real Konami France employee), they are all quite unique and add a lot to Peace Walker. The cast’s weak point is perhaps the lack of a strong villain, with CIA’s Coldman filling the antagonist’s role, but failing to impress in it. Last, but not least, Peace Walker is the place where the player can learn a bit more about The Boss – Big Boss’ mentor and a key figure in Metal Gear Solid 3: Snake Eater. Usage of the “Data Files” is the main way in which the cast is fleshed out. These are cassette recordings of Big Boss’ conversations with other members of the cast, where you can learn about their history, doubts, ambitions, current goals, their motivation to fight, and much more. Kojima’s excellent sense of humour shows on numerous occasions here, with funny subjects and exchanges giving even more life to his characters. The game stays true to the tried and proven Metal Gear mechanics, with the focus being on sneaking, but still keeping the ability to just storm through the opposition if you’re good enough. The way to play the game in many different ways has always been one of the things I have liked most about the series – you can sneak and not ever fight the regular soldiers, you can approach them silently and hold them up to get info and items, you can take them down via CQC, you can pick them off via a sniper rifle from a hiding spot, you can just go in with guns blazing and shoot everyone… And, of course, you can do a no-kill run if you’d like – that’s how I’ve beaten every Metal Gear Solid from the second one, where it first became possible. The game is broken down in missions. There are the main, storyline missions, and there are also plenty of side missions with different objectives. The missions can be played in any order – of course, you cannot play a main mission before completing the one preceding it, storyline-wise, but you can always come back to a mission you’ve previously played to get something extra out of it or just improve your completion rank. 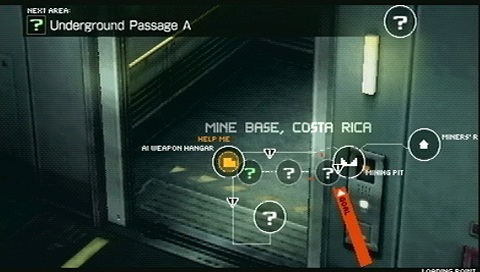 With the PSP’s limited resources in mind, the missions are structured in several smaller segments/areas per mission, as opposed to one large environment like in console Metal Gear games. The fact that a few segments make up a mission helps the player avoid the feeling of small scale prevalent throughout Portable Ops, though. The short transition between two segments aside, it almost feels like one whole environment the mission takes place in. A game over means you have to start the whole mission over, not just the segment in which you failed. At the end of every mission, you receive a rank, depending on how well you did. 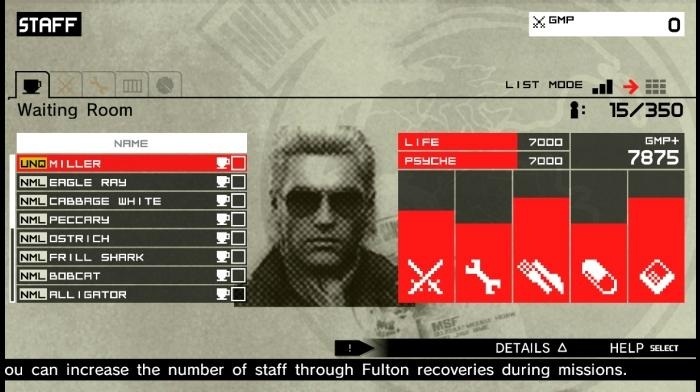 Before each mission, you have to choose a uniform for Big Boss, and then you pick the equipment you’ll take with you (different uniforms have a different amount of slots for weapons, items, etc.). Things can get rough if you run out of a certain item or ammo, but this is partly helped by “support” items later in the game, where you deploy or fire a support request and MSF members drop you a cardboard box with some supplies in the middle of a mission. You’ll most often have to do this in boss battles, especially in the last few ones, where the enemies can take many shots and you’ll inevitably run out of ammo before you’ve won. One of the few flaws in the game is that, for some reason, you cannot lie down on the ground and crawl or even fire a gun anymore. The best you can do to prevent hand twitching when in aiming mode is crouching, when aiming you switch to over-the-shoulder view. 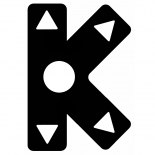 During play, you normally switch between standing and crouching position. You can lie down, but only to further blend in with the environment is there’s a danger of being detected. You cannot move when in that position. Speaking of blending in with the environment, we come to the actual improvements in the Metal Gear gameplay this game has made. 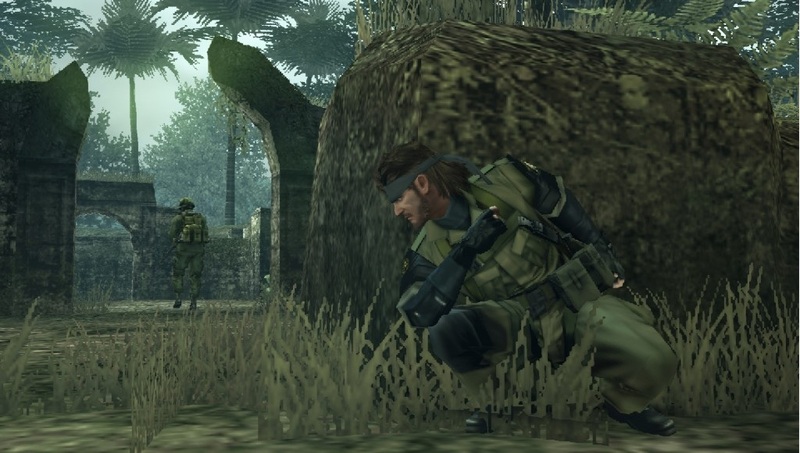 One of the problems with the otherwise amazing Metal Gear Solid 3: Snake Eater was the fact that, as you moved through different zones, if you wanted to stay hard to detect (with high Camo index), you had to open the menu and switch between the different camouflage uniforms available. Here, you only choose one uniform per mission, and you choose it already before the mission begins. Perhaps that can also be seen as a flaw, but it does speed up the game nicely and there are much less occasions where the flow is broken. Another improvement of similar nature is the fact that you don’t dial everyone individually on the radio/codec anymore. You just press Select and you contact a seemingly random member of the main MSF crew. That is not exactly the case, however – when you need an important specific hint during a mission, you will automatically contact the person who can give it first. That’s quite comfortable, not to mention that that way you get to talk to many of your teammates for a bit, even if you’d normally skip contacting each and every individual present on your Codec menu in order to proceed with the action more quickly. The amount and variety of weapons available throughout the game is very impressive, a great improvement from Portable Ops. There are numerous pistols, shotguns, SMGs and machine guns, sniper rifles, rocket launchers… All authentic to the 70s time period, too! Sadly, for people like me insisting on playing without killing anyone, there are just the Mk.22 and the Mosin Nagant, but at least the bigger and more powerful guns can be used at will against mechanical bosses. Importantly, while there are many weapons, there isn’t an overabundance of them like there was in Metal Gear Solid 4: Guns of the Patriots. It felt just right. A key feature in this game is the process and manner in which you recruit people to grow MSF. Similarly to Portable Ops, you can extract enemy soldiers and try to convince them to join your crew. 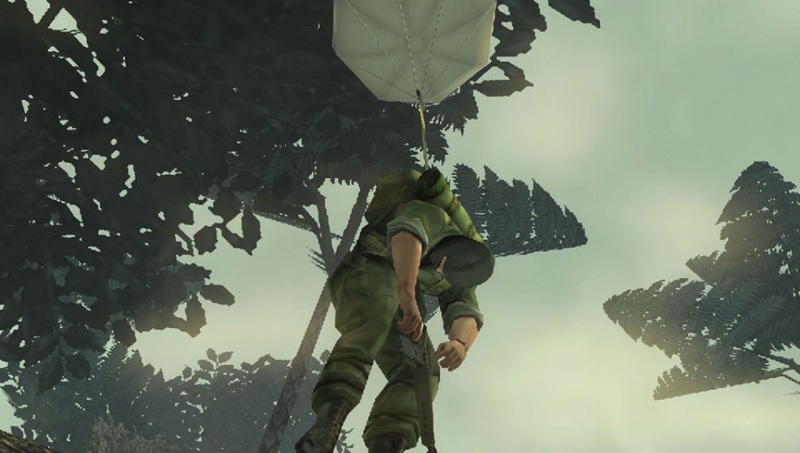 Kojima’s sense of humour shows again in the actual manner of extracting them – Big Boss ties up a balloon full of hot air on them, which launches them up towards the sky, where a helicopter picks them up to take them to MSF’s Mother Base – a technique known as “Fulton recovery” (see the above picture)… Aside from enemy soldiers, you occasionally also find prisoners of the enemy, usually comrades of Amanda, part of her FSLN/Sandinista group. You can extract them, as well, and they often turn into valuable allies. A third manner in which your base staff will grow is through volunteers joining MSF. They start to come in the latter part of the game, once MSF’s fame has reached the necessary heights. There are five stats to each of the MSF members – Combat, R&D, Cooking, Medicine and Intel. Depending on which stats they excel at, you assign them to the appropriate teams. The combat team and its members bring in the cash (called GMP), which you can use to research new weapons and items. The R&D team’s level determines what weapons and items you can research (with many weapons and items having several levels of quality, and you can upgrade them as you reach the respective requirements). The Cooking (or Mess Hall team) keeps your soldiers fed, it’s important for the meal stat to stay over 100% so that everyone is happy with their meals. The Medicine team treats injured soldiers, the higher its level, the faster injuries and sicknesses can be cured. Finally, the Intel team gives you information about the missions and also makes weapons and items available for development. Usually, you’ll be assigning new recruits to the team where their highest stat is, but sometimes it’s necessary to make changes, for instance adding some hands to R&D when you’re close to unlocking that desired new weapon. Of course, with the action being in the 70s, you have to make do with lesser technology, such as mere Surround Indicator as opposed to the Soliton Radar… Or at least that’s the case in the beginning – as your organisation grows and your Research Team’s level increases, you can eventually develop even the Soliton Radar and use it! There are many other utility items you can research. One of the more interesting ones is the Walkman (several versions of it, actually), which you use the Walkman to play different music during missions – unfortunately, just preset Metal Gear music, not any music you desire… But there are quite a few excellent tunes, including some “Metal Gear 20th anniversary” special themes. Another is the Analyzer, which is used to scan enemy soldiers and determine their overall level, which helps you decide whether they’d be useful for your organisation (as you can only make a limited amount of Fulton recoveries per mission). There are also a few hilarious items like the tank cardboard box which can even fire shells. Boss battles are an adrenaline rush. They offer a true, but fair challenge, again keeping with the series’ tradition. Some of the bosses, especially the AI-controlled weapons, are really massive, able to crush Snake or toss him to a great distance by ramming into him. But there are always some weak points that can be attacked, ultimately leading to victory. The more “traditional” mechs, such as tanks and choppers, have got a soldier support team with them, so you usually have to take care of the soldiers before you can even think of attacking the vehicle. The completionist’s value of this game is simply through the roof. In a simple single-player storyline playthrough (like mine), you will only see about 50-60% of everything that the game has to offer. The game’s major selling feature already from the time when it was initially announced were the co-op capabilities. 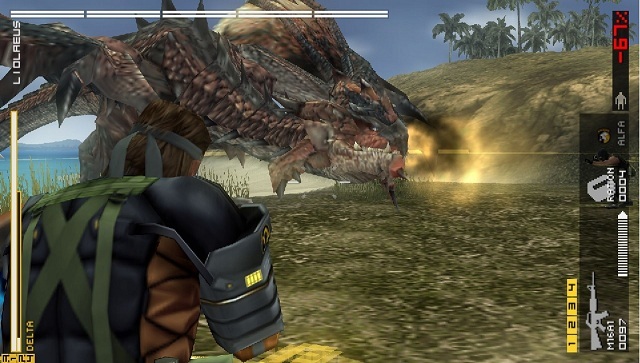 Aside from a number of missions, pretty much all of them, including storyline ones, can be played with a partner using PSP’s ad-hoc or over the internet. And boss battles even allow for 4 players, turning them into complete frenzy! Gameplay changes a bit as you play co-op, with several new features becoming available, you’re even able to revive your partners if the enemy gets the best of them. There are also pre-defined voice commands/chat used for team coordination, of which there are many readily available (and plenty more unlocked as you complete various missions), and you can assign them to certain button combinations, accessed very quickly and conveniently through the menu. A mode called “Versus Ops” allows the player to organise multiplayer matches on certain maps, with the game options being individual or team deathmatch, base capture (King of the Hill) and quetzal capture (Capture the Flag). 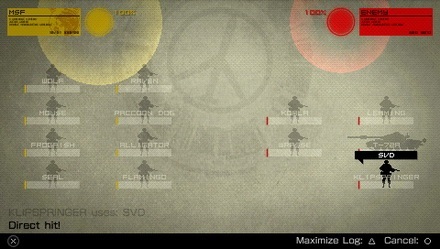 There is also a fascinating turn-based mini-game called “Outer Ops,” where you deploy your MSF soldiers and tanks in various conflicts, choosing which MSF members and mechs you’ve captured over the course of the game (tanks, helicopters and such that Big Boss battles can be captured and subsequently used by MSF) to send to the particular mission. Each of the squad members and vehicles have got a certain amount of HP, decreased when an enemy decides to shoot at them. At the end, the side that has the last man standing wins the battle. Last, but not least, through an interesting collaboration between Konami and Capcom, as part of the extra missions in Peace Walker, Big Boss can even undertake Monster Hunter missions! It’s a bit of a pain to unlock and you’ll likely need a guide to do so, but once you do, you can experience the fascinating blending of two massive franchises. 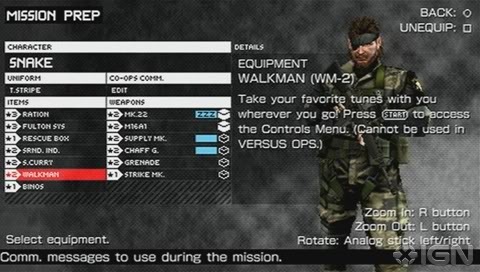 With the introduction of Peace Walker in the Metal Gear Solid HD collection, the player has the ability to transfer his Peace Walker data between PS3 and PSP, using Kojima’s famous “Transfarring” feature. Thus, you can play the game on the big screen at home, and you don’t have to halt your progress during that long trip where you will only be carrying your PSP. Peace Walker is a beautiful game, especially considering that it’s a mere PSP game. It really pushes the hardware to its limit and looks almost on par with the best looking PS2 games. The HD version is, of course, even more beautiful with the smoothed and improved textures. There are many pretty environments in Costa Rica, from cloud forests, through lakes, to old Mayan ruins. While not as breathtaking as they could be in a fully HD game, they will still catch your eye and provide brilliant atmosphere during the missions. A very important part about Peace Walker is that many of the cutscenes are in a motion comic-book style – which I thought was one of the best features of Portable Ops. I am glad they kept it in this game. Here, they are drawn even more beautifully, with even the smallest details like coffee steam being captured nicely. Some are even coupled with quick-time events, making sure you pay attention and usually providing a bit extra fun as you watch events unfold. “Cutscene interaction” is also one of the ingredients forming the overall mission rank as you finish one that contains them. Sadly, the soundtrack isn’t as impressive. It’s more or less typical Norihiko Hibino work. The quality is above average, but only a handful of the themes really stand out. As I already mentioned, some of the tunes that can be played on the Walkman are also worth listening to. My favourite song in the whole game is probably “Heavens Divide,” but I cannot just spoil you with a song that plays at the end of the game, so I’ll give you the rad “Main Theme,” instead. Peace Walker is a great addition to an already amazing series. It really offers a lot, much more than most new games do nowadays. With just the main storyline missions already giving you 25-30 hours, there are probably a hundred more you can spend on all the extras. So it’s great value for money, especially considering the gameplay is always fun. 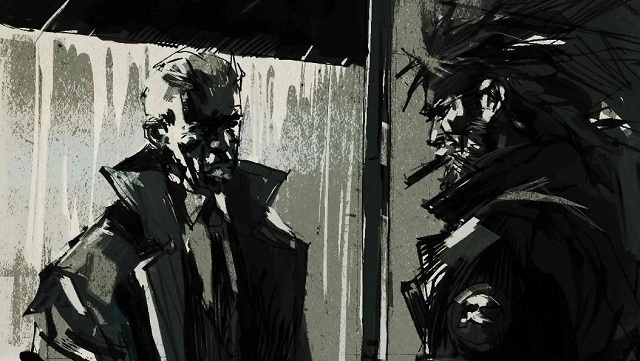 Big Boss’ story is continued nicely, we learn more about him and we see his development in the direction that eventually took him to the events of the original Metal Gear. The cast is impressive, with many original faces adding a lot of charm to the game. Peace Walker is also very beautiful and atmospheric, not to mention true to the spirit of the 70s and the problems and conflicts of the era. Even if you are new to the series, and especially if you are looking for a great game to play on your PSP, this is simply the best I could recommend. With its emphasis on story, Metal Gear appeals to the more story-inclined gamers like me, but the fluid, entertaining gameplay draws in the action type, as well. 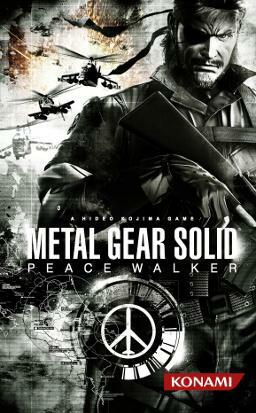 And it goes without saying that if you have played the other Metal Gear Solid games, Peace Walker is absolutely required. As long as you’ve got a PSP, PS3 or an Xbox 360, you can experience this incredible adventure along with Big Boss and his crew. Jeff Zero here. Excellent review man. I wasn’t so hot on the game’s cutscene style going in but it really works for it. And yeah, the controls have led to some bizarre exclusions from classic Metal Gear Solid gameplay. But otherwise this is a fantastic game. I’d probably give it closer to an 8, but it’s well worth playing. Heh, have you played Portable Ops? If you have, you kinda expect the comic-style cutscenes in the next portable Metal Gear Solid. They’re even better in this one. I just like the style they’re drawn in a lot. Yeah, the inability to crawl on the ground and other minor stuff like that detracted from the experience, but there was also quite a bit added or improved, so I can’t complain much. At the end, it’s my 5th best Metal Gear – after MGS3, MGS4, MGS and Metal Gear 2: Solid Snake. Storywise, Big Boss and his development aside, it really doesn’t compare to the best. But otherwise, it’s really not much behind.